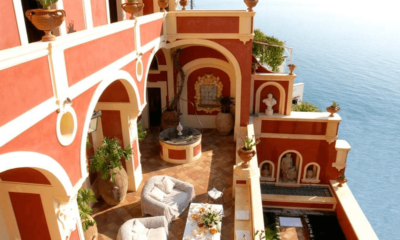 This unique exquisite private villa is available only in its entirety for your exclusive rent, the ultimate retreats on the Amalfi Coast for celebrities and stars from across the globe. 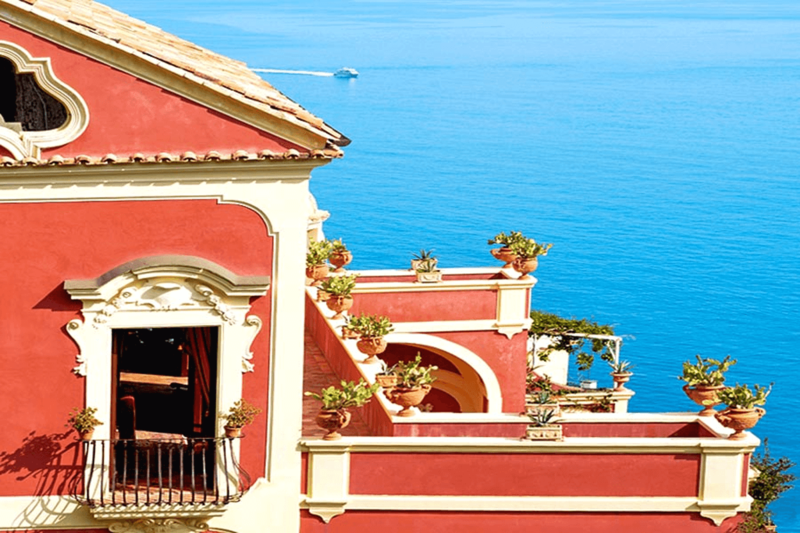 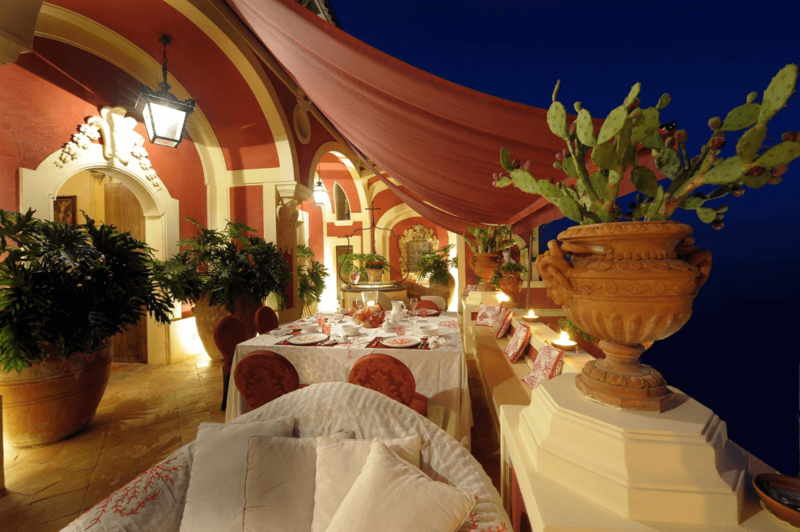 With its strikingly rich red stucco facade and dramatic terraces, draws the eye of anyone visiting Positano . Located on the clifftop above Positano, overlooking the village and coastline. 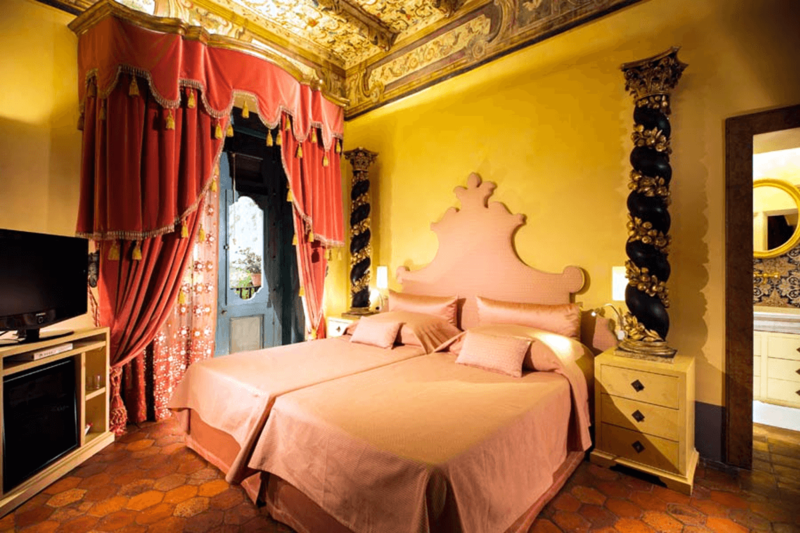 Extra beds available at an extra cost. 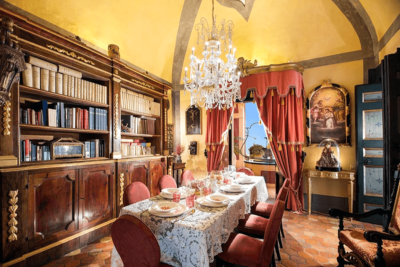 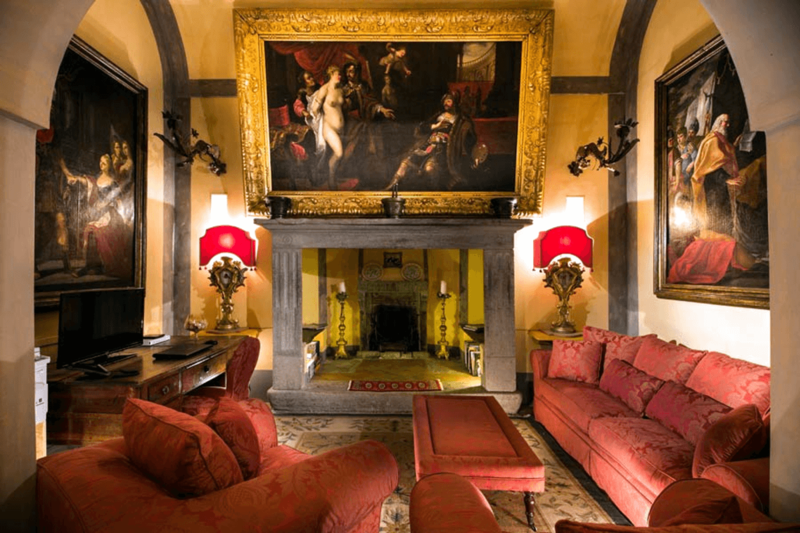 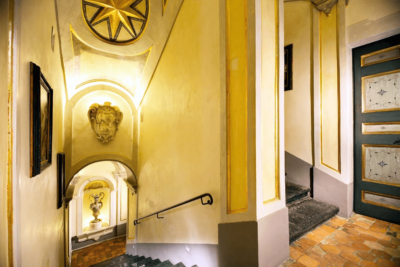 Palazzo Opulenza is ideal for private events hosting up to 25/30pax. Step through the gates into the private internal courtyard, lined with massive terracotta vases and hand painted majolica tiles, and continue inside to the ground floor living room, kitchen, dining room, or grand staircase leading to the bedrooms above. 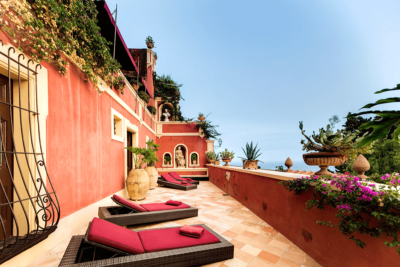 Indulge yourself in five rooms, a spa with indoor swimming pool, terraces, living rooms and a deluxe kitchen. 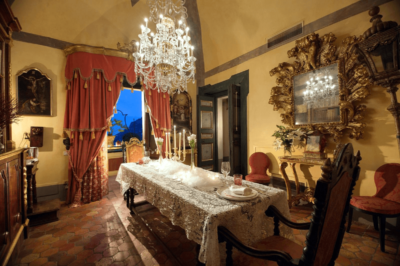 The Palazzo Opulenza is ideal for an exclusive and intimate vacation with your family and friends. The villa is the best place to savoir “La Dolce Vita” with all high-end services, to make your vacation the most memorable. 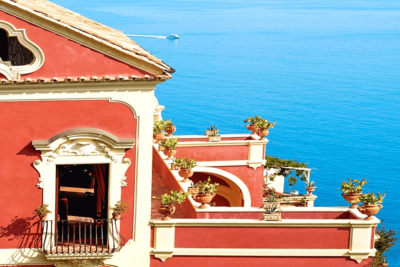 The location is perfect to discover the beauties of Amalfi Coast and the Islands of the Gulf of Naples with exclusive private tours. 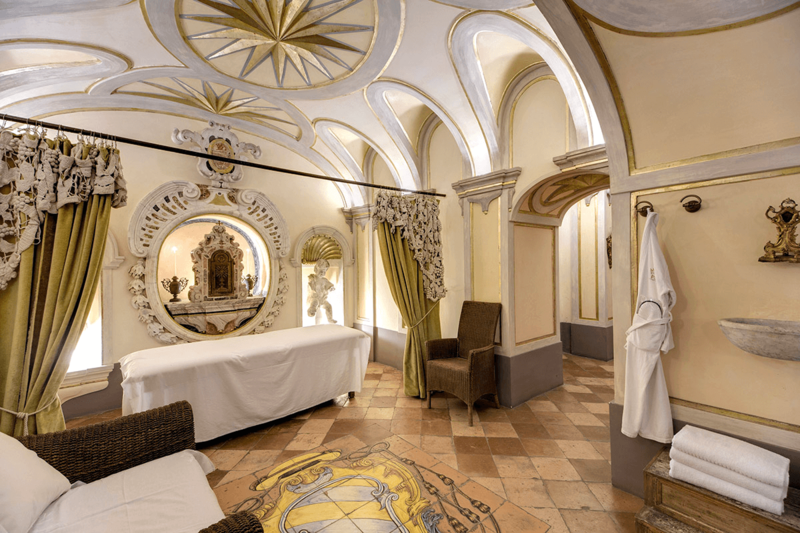 The private spa at Palazzo Opulenza is inspired by the famed baths of Rome. 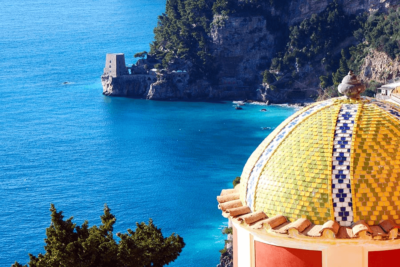 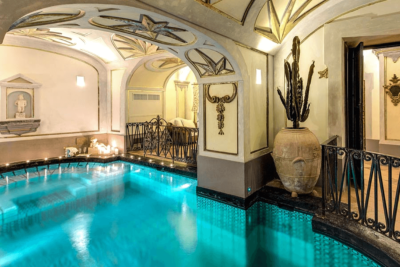 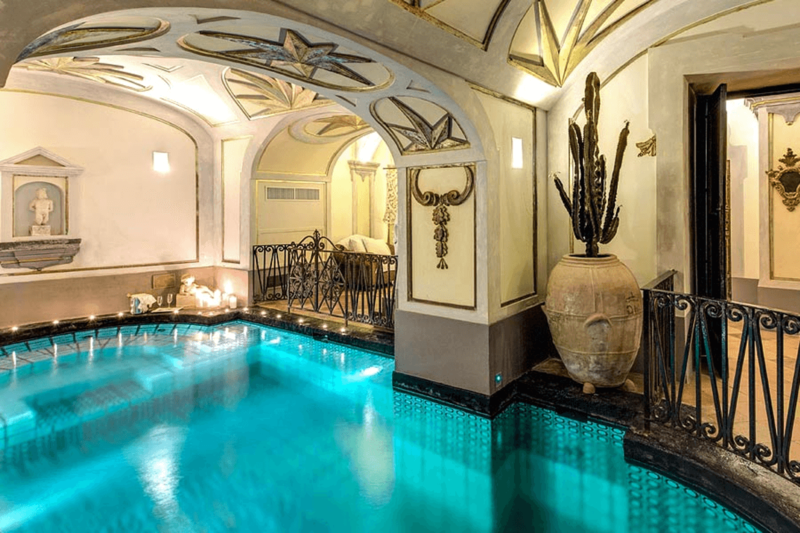 The “Salus Pur Aquam spa” includes an indoor pool lined with traditional Amalfi Coast majolica tiles, equipped with an endless pool system, massage jets both on the pool walls and seat, and a massage waterfall. 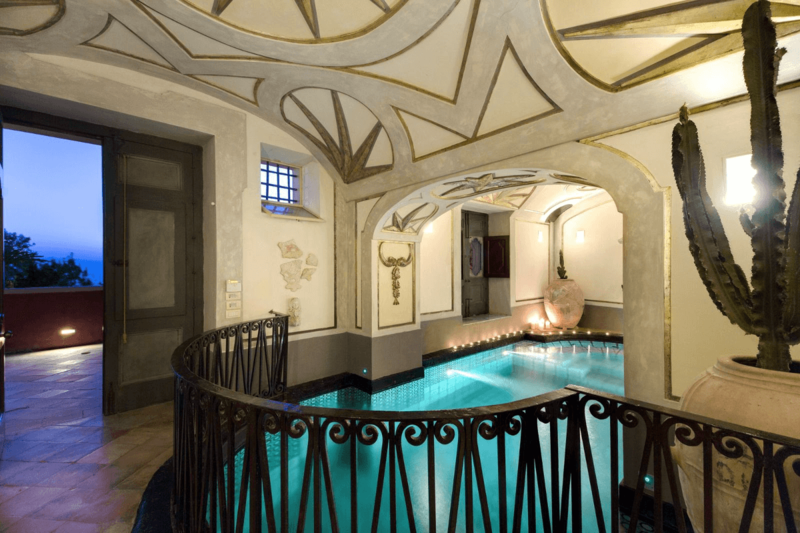 The traditional calidarium and frigidarium from ancient Roman baths have been replaced by a sauna and Turkish bath, and the shower treatment, massage and relaxation area, and direct access to the outdoor terrace with its sundeck and hot tub complete the spa. Palazzo Opulenza was originally a small monastery, and later became a bishopric in 1716. 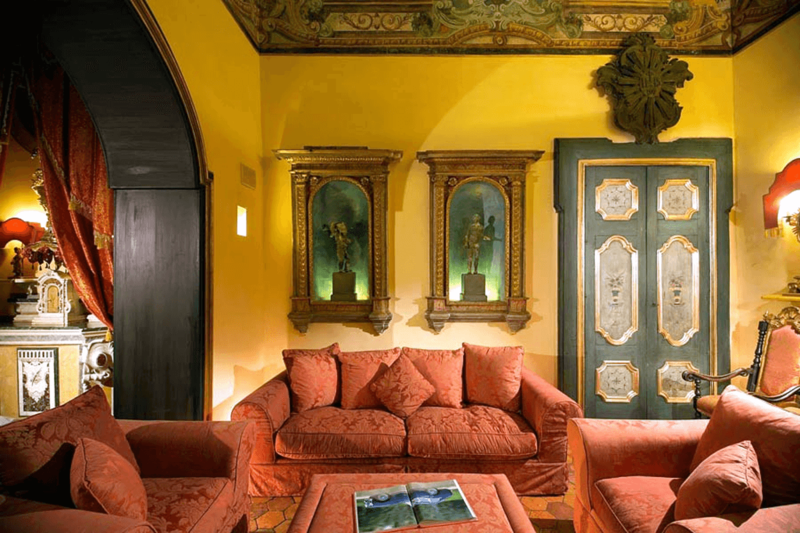 During its time as a bishop’s palace at the height of the Baroque period, the building was renovated in the ornate style that has remained to this day, and decorated with rare and precious woods and silks which were traded in Positano’s port with merchants from the Orient. The villa’s lacquered doors, frescoed ceilings, and elaborate stucco flourishes were created by local masters. When maritime trade ended, Positano gradually became a poor fishing village…though Palazzo Opulenza remained a luxurious villa high above the town. 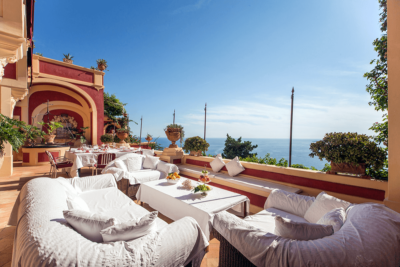 At the beginning of the 1900’s, the Amalfi Coast began to attract travellers drawn to the timeless beauty of this stretch of coastline. 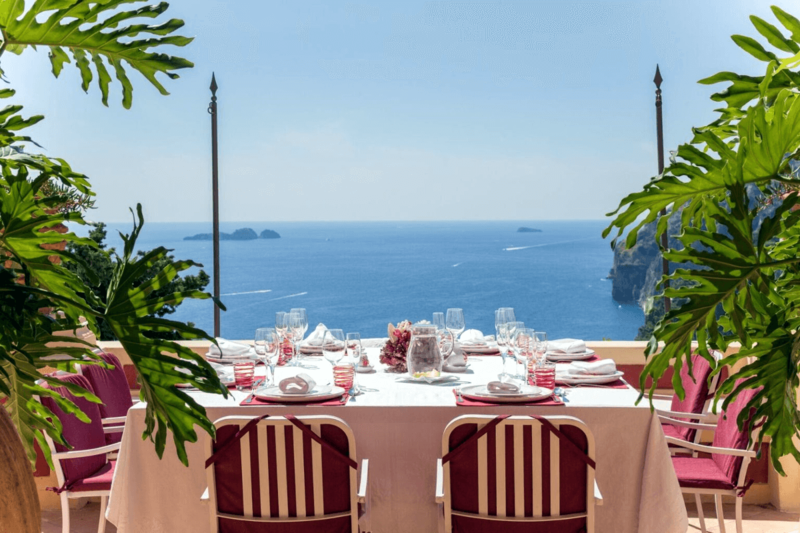 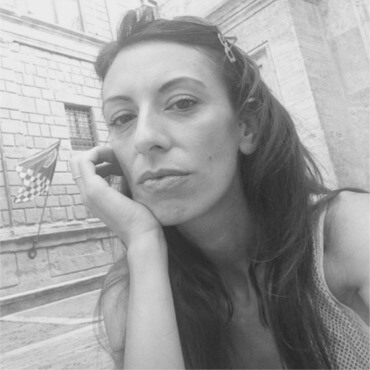 Among these European visitors was Edward Ghillausen, a Bauhaus artist fleeing the Nazi regime who fell in love with Positano and decided to go into hiding here with his wife. 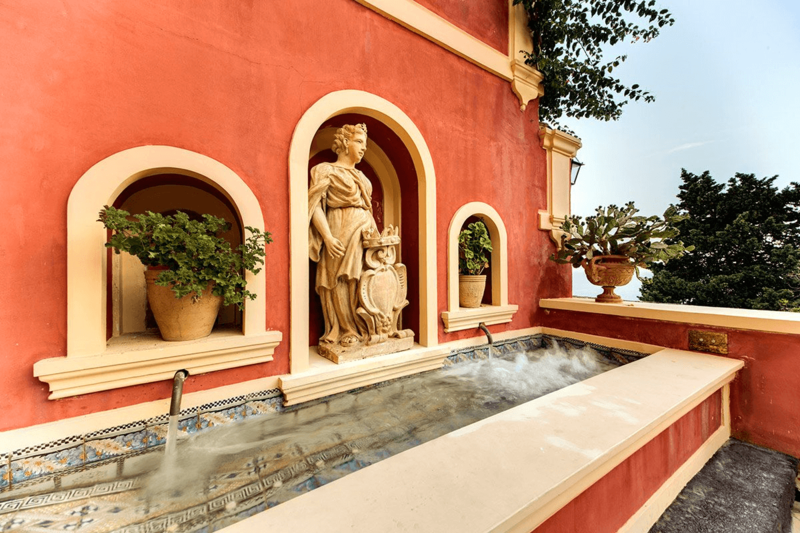 This couple lived here until the early 2000’s, and transformed the villa into a cultural center adorned with precious artworks and antiques. The villa was then purchased by Giacomoand Riccardo, close friends of the Ghillausens, who shared their vision of preserving the villa as a quiet, private retreat. 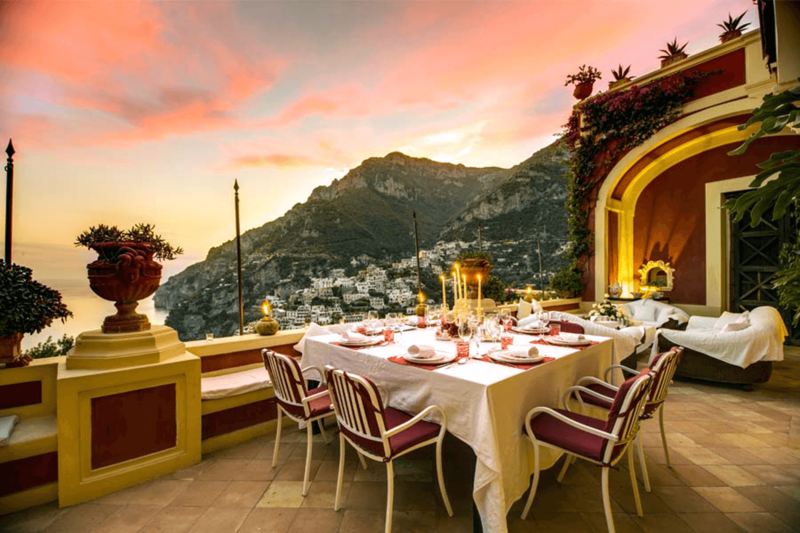 The property is located on the clifftop above Positano, overlooking the village and the superb coastline. 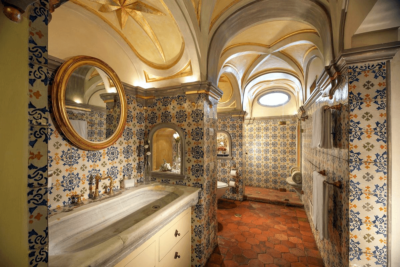 Fully equipped kitchen with high end, modern appliances tucked in between stone archways, marble sinks and a grand fireplace. 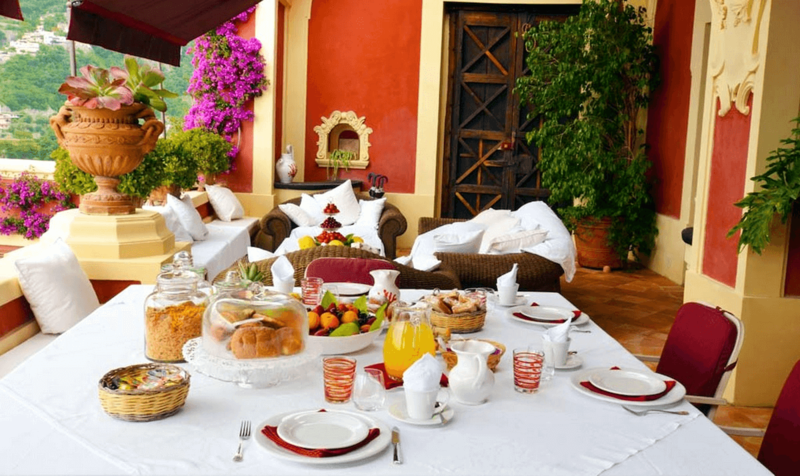 Electricity, water, heating, gas, firewood, conditioning, final cleaning.